The party is on in full swing as he arrives. He parks his car, and, a bit clumsy in his actions, gets out and goes inside to party. He is already slightly high now. Hitesh heads straight to the bar, and upon picking up another double, begins to make small talk with friends. Soon it is time to hit the dance floor. Another couple of shots follow and the man is now pleasantly drunk. Then the food is served. Hitesh eats bits and pieces of dry food (food without gravy and one cannot eat a proper meal and immediately drink afterwards, after all). Then the gathering gets together for after-dinner cognacs and brandy. But Hitesh is unperturbed. He continues to sip his scotch. Then the party is over. Most of the guests leave, save a few. These are the serious drinkers. A couple of hours later, Hitesh is properly smashed. He bids adieu to his friends, gets into his car and drives away. He reaches home, changes, gets into bed and is soon fast asleep. He sleeps fitfully, and wakes up nine hours later. Then the doorbell rings and the nightmare begins. What happened in the brief time-period between leaving the party and reaching home? The gaps could not be filled by our friend. Apparently he was involved in a hit-and-run case, was stopped by the cops and questioned. When the policemen were busy with the paperwork, Hitesh managed to give them the slip and drive away. The accident victim was in hospital in a critical state. The truth came to light only the next morning after Hitesth woke up.. Most people in such cases are carefree, courageous, energetic, outgoing and optimistic, even in situations that worry most persons. But in Hitesh’s case, he was just plain foolish… and drunk to top it all. There are many ways to avoid harm reduction. One commonly-suggested way is by reducing the intake amount. It also helps to have a glass of water between every drink when on a night out, as is heavily diluting your drink. Stick to your limit and drink slowly, it is not a race. Fill your stomach with plenty of food before during and after your booze intake. 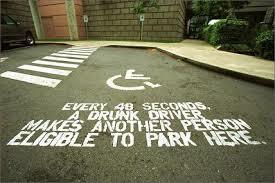 And above all, do not, repeat NOT, drink and drive.